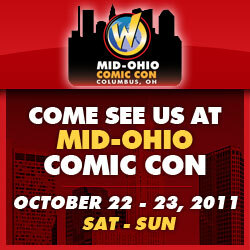 If you’re a comic fan and you live in the Columbus, Ohio area or anywhere close to that, then you should certainly come out to Mid-Ohio Comic Con (by Wizard World) this weekend. Max and I will be there set up, selling and signing books. We certainly hope to see you there.